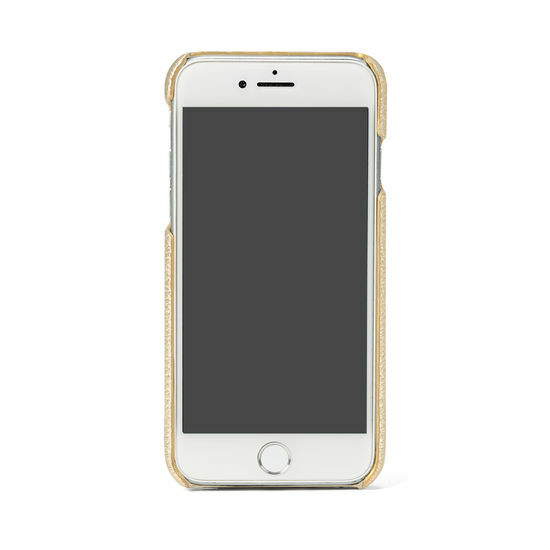 Simple, sumptuous and functional, our iPhone 7/8 Leather Cover is the perfect companion for your phone. 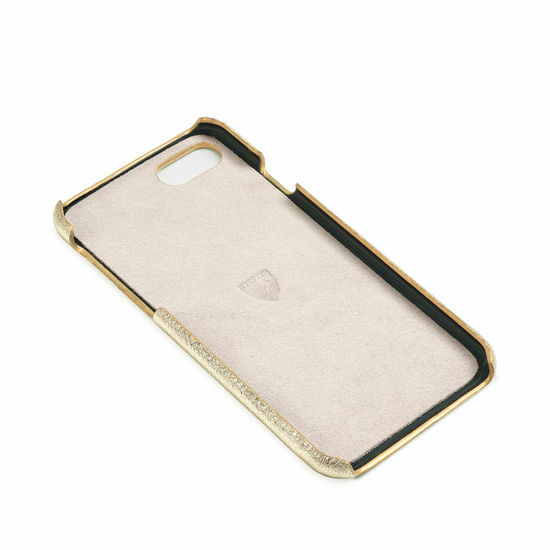 Crafted to our exacting standards, the hard-wearing moulded plastic snap-on cover fits snugly around your device, helping to protect it from any bumps or knocks and is hand-bound in soft pebble textured Italian calf leather. 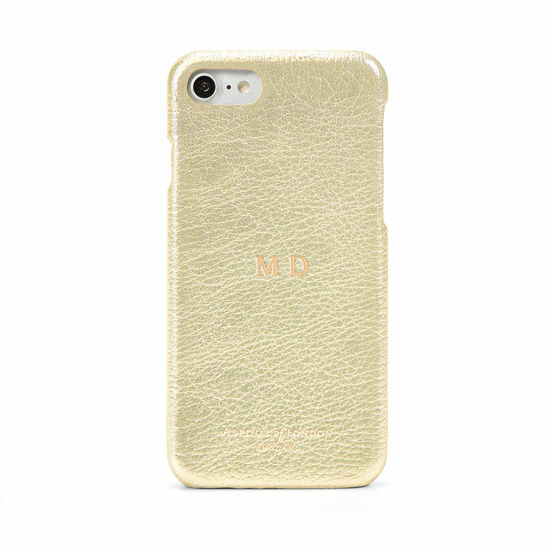 The pale gold shade of the exterior complements the suede lined interior, and subtle details include embossed Aspinal signature branding on the reverse. Designed with practicality in mind, the piece features cut out access to all the ports, buttons and the camera lens. To finish, add up to four initials to the back of the case for a personal touch.